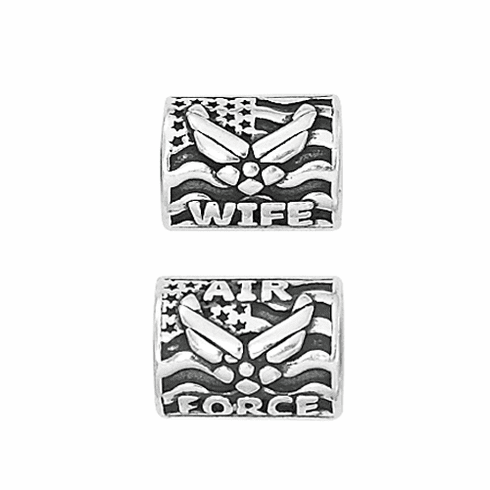 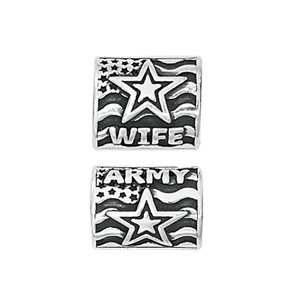 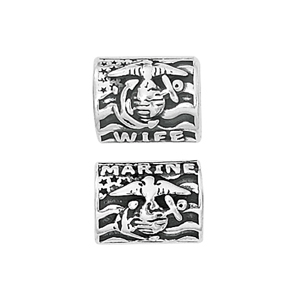 Proud Wife – Show your pride with one of these .925 sterling silver spacers depicting the military branch emblem along with the words “Wife” and “USAF” "ARMY" "MARINE" "NAVY" embossed over an American flag. 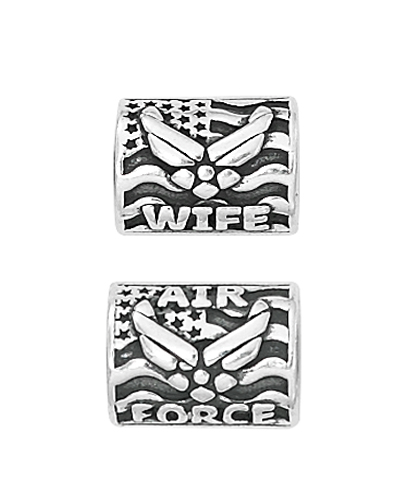 Please Note: Both front and back of spacer is shown at left. 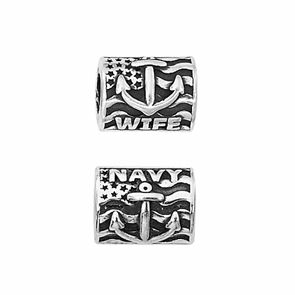 This spacer is sold as a single item.